Already February. Unbelievable. This month will be busy. We will see 3 patches, new cards, balance reworks and changes, as well as the last three King Puff Cup events of the current King Puff Cup season 2. And one of this three cups will happen tomorrow! This Saturday at 14:00 UTC it's time for the next King Puff Cup! Live broadcasted, we can expect to see the very best 2vs2 players battling for honor, glory and $225 in the prize pool. Which 4 teams will get their hands on the money? One more day until we get that question answered, but for you, there's still time to sign up and participate! Good luck to all participants and we would love to see you on Saturday at 14:00 UTC on Twitch. This week, we asked a Master a few questions. It's been a long time since we presented our last interview, so let's jump into it. Minion Masters, this is Kexaron! Hi Kexaron, nice to have you! Even though you’re a regular Minion Masters streamer, would you introduce yourself, please? Absolutely. I'm from Maine, USA and I stream mostly in the evening time. I grew up playing MMORPG's but found that they consumed my life so I have transitioned into games that actually end. The thing that attracts me to games is teamwork, communication, and complexity. You’re someone playing the game a lot. Would you agree with Minion Masters being more than just a card game? And if so, why? Yes absolutely. It tests your ability to think on the fly, you have to strategize with your deck ahead of time and adjust to your opponent's deck on the fly using tactics. In addition to all of the thought, you have to predict how the minions are going to move and respond in real time. 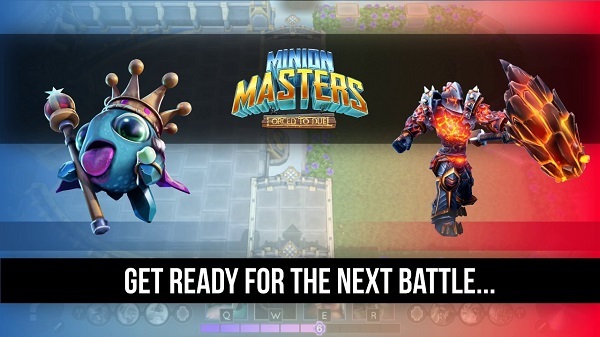 Speaking of what Minion Masters is, where do you feel that Minion Masters stands out compared to other card games, especially the popular ones like Hearthstone and Clash Royale? I think that one good thing that Hearthstone has, Minion Masters also has, and that is mana is equalized for all people. I have never played Clash Royale, but Minion Masters is insanely complicated to play at a high level and I don't think that a mobile game can be compared to it. How do you feel about the competitive aspect of Minion Masters? I think that the competitive aspects of Minion Masters are so complicated that I can't even put it into words. I guess I really like to use the phrase "A minute to learn, a lifetime to master". Since you play a lot of Minion Masters, will you enter the tournament scene? I actually played in my first tournament a week ago, I lost to Dirion. I will also be playing in the 2v2 tournament a week from now. I am just getting comfortable and still trying to learn all of the Masters at a high level, but I am happy to join. My goal is to be actually competitive in the tournaments two months from now. Kexaron, where do you see Minion Masters in 2 years from now? What do you think will be and what do you expect? I think that the next 6 months are the most important for Minion Masters. I think that MM will get a lot bigger when it goes free to play and will continue to gradually grow over time. The strong knit community that it has at its base will really help keep the players that come in and stay and encourage them to bring their friends. I see MM in 2 years from now have 10x the amount of people playing it but I hope it gets even bigger. Thank you very much for your time and the interview. If you want to see Kexaron in action, meet him live on stream at Twitch! Before we end this blog post, we want to give you a brief overview of the next week. The next patch for Minion Masters will happen on Wednesday, February 7th. Among other changes, we will introduce a new card. Are you a fan of Legionnaires? We like them too ;) More on that subject on Monday. That's all for now, Masters. Head back to the flying arenas and prepare yourself for the team battle tournament!